We’ve all been there we have a day or two to achieve a dark tan for some event however, some of us (me included) just can’t seem to get as dark as some of my friends. The bad news is , it’s all down to your skin pigments. If you’re from a family of redheads and are prone to burning even indoors then i’m sorry this will take a bit more work however, I can help you though even if you’re not blessed with olive skin! I can help you because I unfortunately live in Spain and have the most prone to burning body, ever. Firstly, letting the sun tan you isn’t the safest way. Especially if you’re prone to burning. 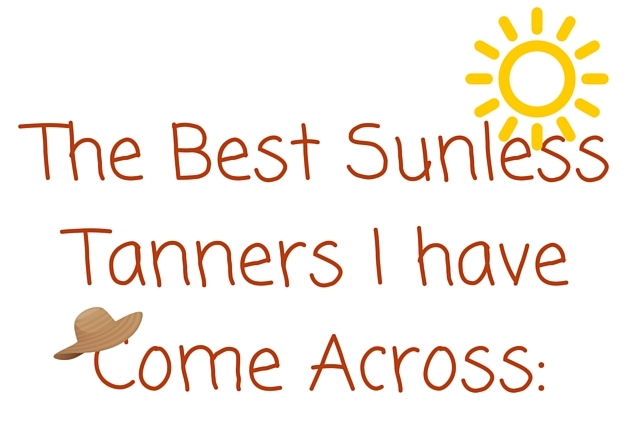 I know it seems unfair but really you’re doing your skin the world of good using sunless tanners. Exfoliating is the key to a deep, dark tan. The day before or even right before you go in the sun, jump in the shower and exfoliate your skin. Exfoliating gets rid of all the dead skin and impurities making way for them rays. I know you think it won’t tan you but, by protecting your skin you’re preventing burning and any damage. I would recommend for sure applying sun screen to your face as sun is the worst for ageing. You don’t need to apply the highest factor all over your body but just by protecting your most sensitive areas, you will thank me for your dark tan and for not being burnt. I LOVE tanning oil but I burn sooo easily so it’s virtually impossible for me to wear it and not get burnt. However, there are steps you can take. I apply it to my legs and arms, simply because these are the areas that don’t really burn as easily on my body. You will have your own areas so, apply it generously to these spots and the rest of your body will catch up without being damaged! I use the tanning oil below that has no SPF. You can purchase tanning oils with an SPF but I prefer none so I can apply my own sunscreen. Tanning oil will give you a deep, dark tan however, all I ask is that you protect yourself if you are not used to the sun as you will burn quickly with oil. Don’t go in the sun at the hottest time of the day (12 -3 ) It may seem like a good idea but, you will burn and feel like crap. Protect your face! Do you want wrinkles at 30? no. Try not to fall asleep and try to keep turning every 20 minutes or so. If you feel like you’re burning, go inside! Any factor is better than nothing but, try to at least wear a factor 15. Re-apply sunscreen after going in the pool, even if it is waterproof. I use tanners because I burn so easily. I’m not a redhead, I just have sensitive skin. I tan my body in the sun when I feel brave but the rest of the time I use a tanner. Nobody can tell the difference so long as you exfoliate and blend well. A quick word of caution – Tanning makes us feel and look great but it does damage our skin, massively. I completely disagree with sunbeds and won’t promote anything positive about them. I know tanning outside is still bad for us but, it is a whole lot better than tanning beds. Please always protect yourself and just be wise, stay hydrated and keep topping up on sunscreen. You don’t want to end up like a leathery old handbag. I hope you enjoyed my post on ‘How To Get A Deep Dark Tan’ if you did please let me know in the comments below!